This graduate seminar offers an opportunity for you to immerse yourself in the worlds of digital and social media (broadly speaking) as they relate to the field of education. This includes analyzing and discussing theories and practices for engaging with new media in a range of learning environments, as well as critical inquiry with regard to the role of ICT in contemporary personal, professional, social, and cultural contexts. More specifically, in this course we will: (1) interpret key terms such as social software, participatory culture, digital inclusion, filter bubble, and post-truth; (2) investigate issues and ideas associated with ICTs for social change, surveillance, and trends in global mobile culture (specific to knowledge generation, curation, mobilization, and visualization); and (3) examine new possibilities for teacher inquiry in-interaction-with the digital and social media ecosystem. In addition to cohort-engaged explorations with course readings, you will also benefit from engaging conversations with guest scholars and in-class writing/sharing activities that will accelerate your journey to success in your graduating thesis. 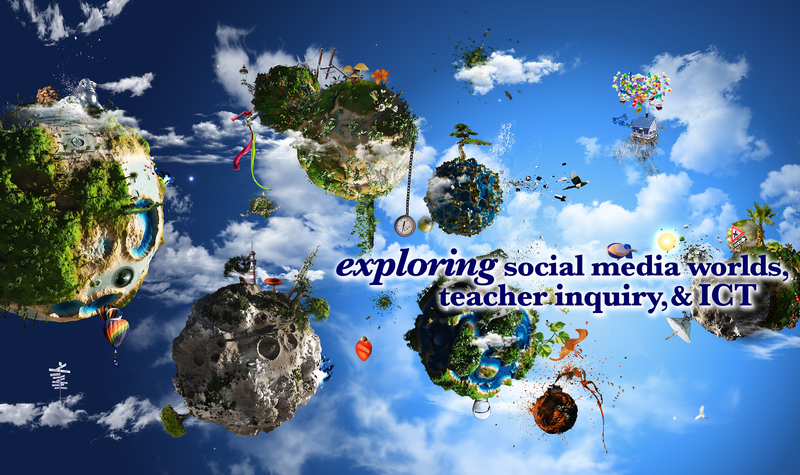 1) My intention is to help you develop a background and depth of expertise for analyzing the opportunities, challenges, and potential impacts that ICT and social media may have on your teaching practice and your students’ learning in an increasingly digital world. 2) After completing this course, you will have a better understanding of how practitioner teacher inquiry may strengthen student collaboration, creation, reflection, sharing, engagement, and other key elements of curriculum in contemporary classrooms.